Come join us while we explore the beginnings of the town of Easton, the Easton Additions settlements and the birth of the Broadway shopping district. 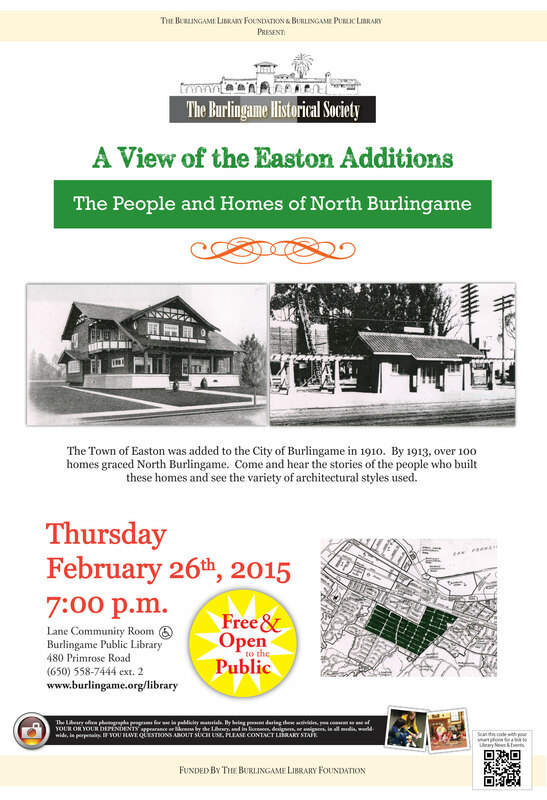 Free and Open to the Public- 7pm Lane Room of the Burlingame Public Library. Image | This entry was posted in What's New?. Bookmark the permalink.